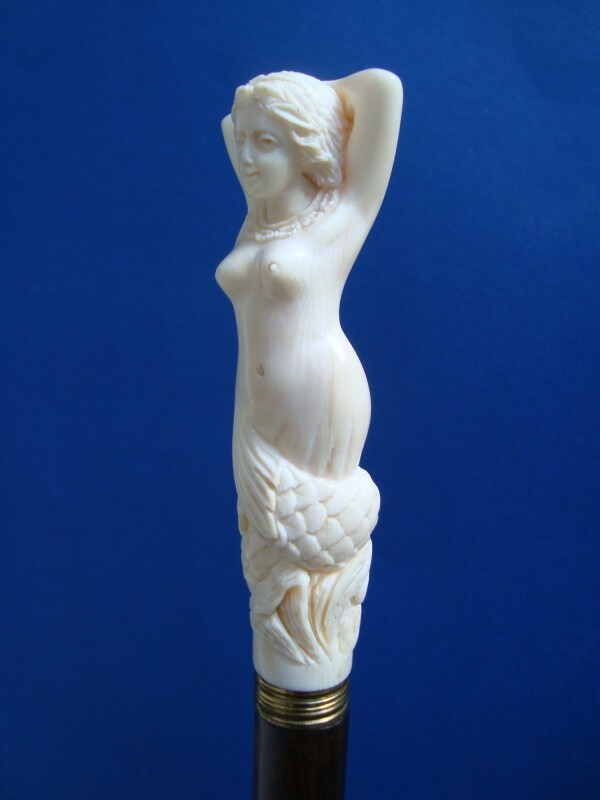 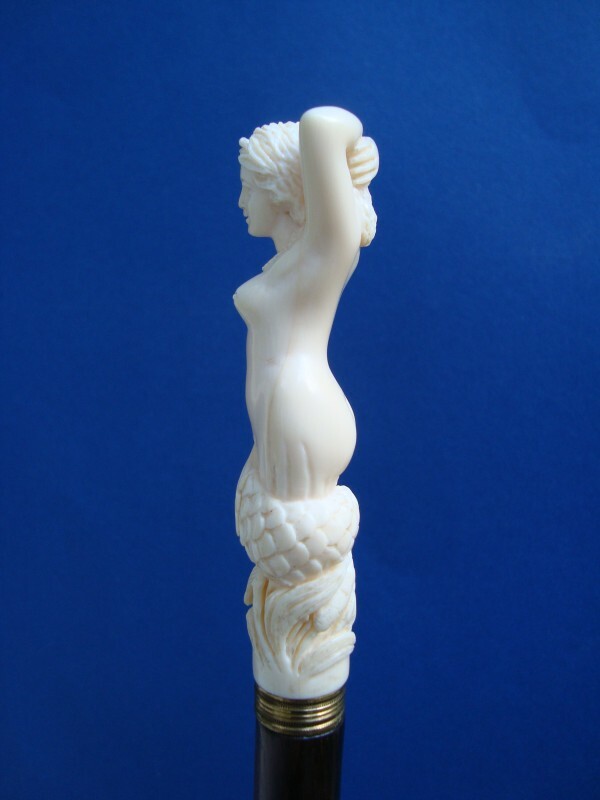 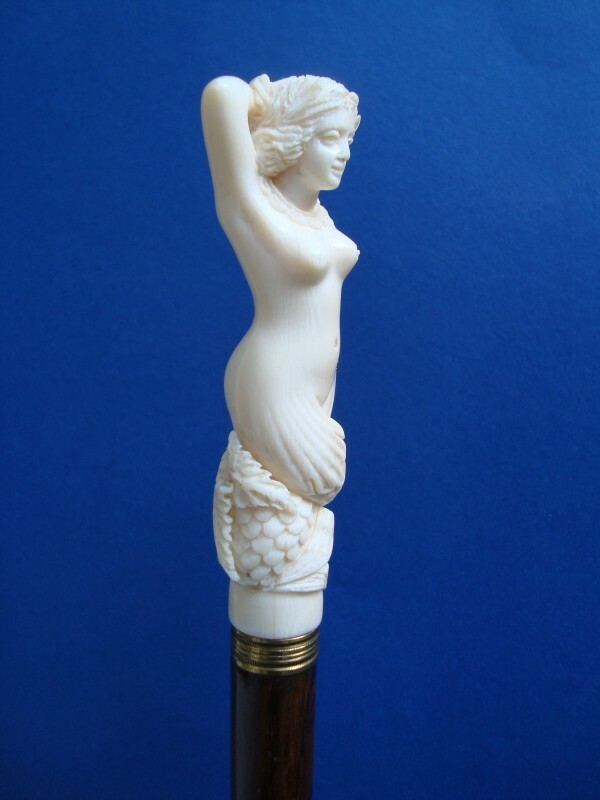 Walking cane with an ivory mermaid 2nd half of the 19th century. 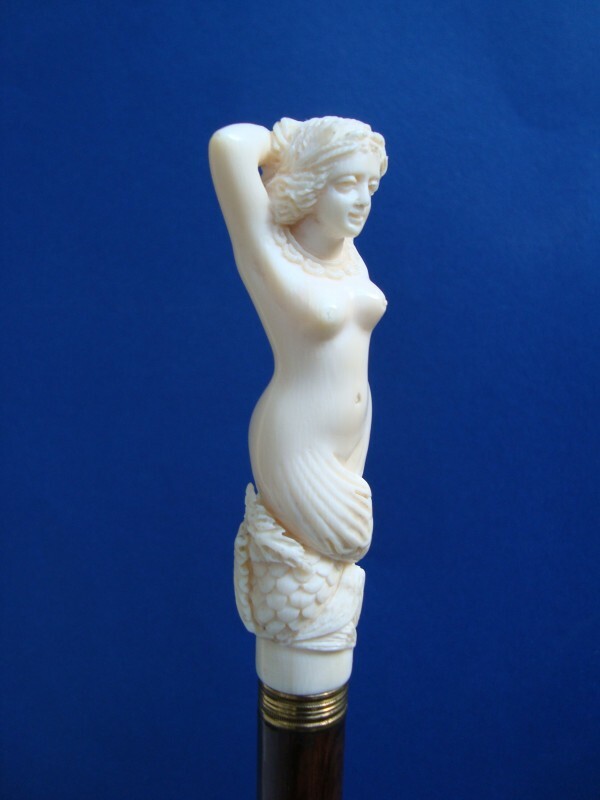 From the reed coming, it holds the arms behind the head crossed, around the neck she carries a chain.The handle is fitted on a brass collar and an brown grained hardwood shaft with a brass ferrule. 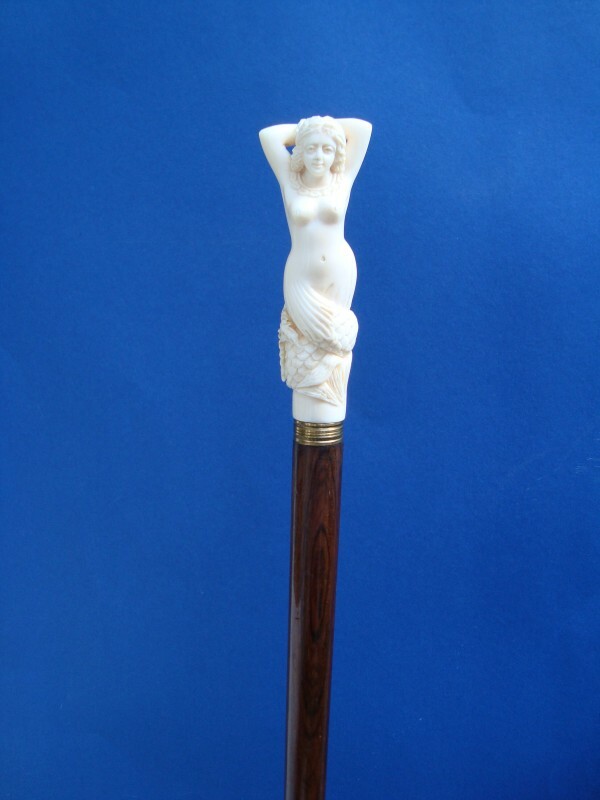 Measures of the handle: H. 10,5 cm 4,1", W. 4 cm, 1,6", overall length 93,5 cm, 36,8".